Ten x Ten 2015 (full trailer) from Homeroom on Vimeo. A collaboration between visual artists and musicians exploring visual and auditory interaction. 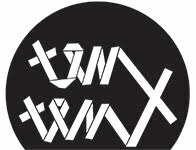 Now in it's fourth and most ambitious iteration, Ten x Ten 2015 will bring together 20 notable Chicago visual artists and musicians under the curatorial guidance of three distinct Chicago organizations: Elastic Arts, Homeroom, and Spudnik Press. Artwork on display through November 1.